Neu umgebautes gemütliches Ferienhaus mit einem Schlafzimmer. Gelegen im schönen ländlichen Dorf von Ruston, North Yorkshire. Gästeparkplatz, privater geschlossener Innenhof mit Terrasse, Bi-Falttüren führen zu gut ausgestatteten Lounge, Diner & voll ausgestattete moderne Küche. Schlafzimmer mit Kingsize-Bett, Platz zum Aufhängen, Ganzkörperspiegel und Fernseher mit direktem Zugang zum Duschraum mit Rasiersteckdose. USB-Steckdosen sind in Küche und Schlafzimmer verfügbar. und in der Nähe von North Yorkshire Moors, Scarborough, Whitby, Pickering, Filey, Bridlington und Malton. Dampfzug von Pickering nach Whitby, Flamingo Land, Dalby Forest Robin Hoods Bay, Goathland [Heartbeat Village], Downe Arms Hotel (täglich 10 Gehminuten entfernt), SPAR-Supermarkt mit Tankstelle (3 Meilen), ländliche Hundespaziergänge . Really enjoyed our stay at Larch Cottage, Sue and Neil were excellent hosts and very friendly. Cottage clean, tidy, cosy, well equipped would highly recommend. Look forward to seeing you again. Excellent stay had by all of us. Will definitely be back. Thanks to Neil and Sue. We were made to feel very welcome by Neil and Sue and we're very pleasantly surprised by the quality of the property. We loved our stay in this small but well appointed cottage. The property has been renovated to a high standard and is well thought out. On arrival we were welcomed by Neil and Sue and given an overview of how equipment worked and tips regarding walks with our dog and local eating places. The hamper was very much appreciated. 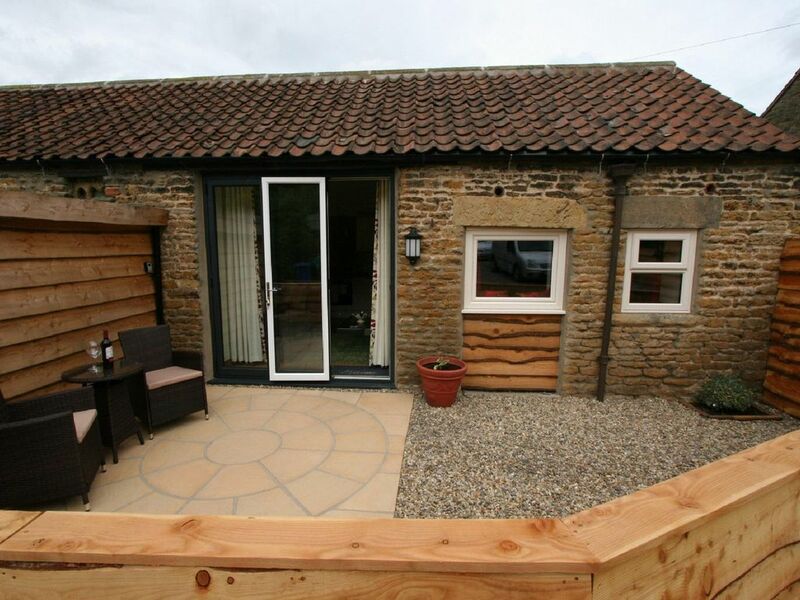 We felt the property was ideally situated to enjoy all that this part of Yorkshire has to offer and thoroughly enjoyed our two night stay here and hope to return. This is an ideal place for a single person or a couple plus dog. There is everything you could possibly need for your stay. Tasteful decor and high quality fittings. The friendly owners are on site to answer any questions you may have and to give good advice as to where to eat etc. Plenty of nice walks for your four legged friend. A lovely setting for a relaxing getaway. and so pleased you enjoyed your stay.